Bryson Tiller, Nas, and Rae Sremmurd also confirmed for the London event. 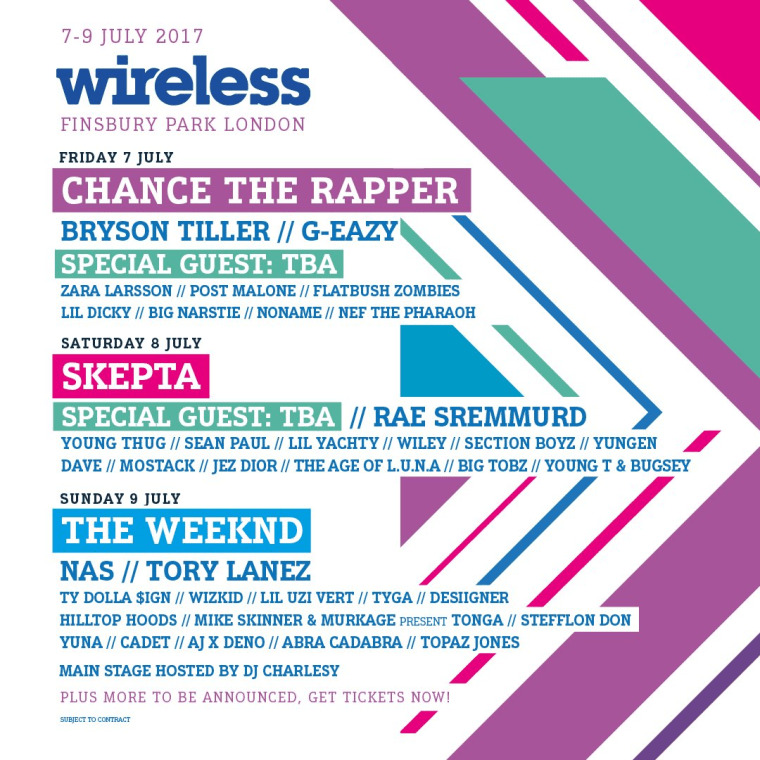 Britain's Wireless Festival has announced its lineup for 2017. The Weeknd, Chance The Rapper, and Skepta are headliners with Bryson Tiller, Nas, and Rae Sremmurd also on the bill. The annual festival takes place between July 7-9 at Finsbury Park, London. 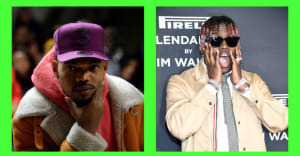 Other artists scheduled to perform across the weekend include Young Thug, Wiley, Lil Yachty, Section Boyz, Sean Paul, Tory Lanez, Ty Dolla $ign, Lil Uzi Vert, G-Eazy, Zara Larsson, and Noname. Check out the line-up as it stands above.